5StarWines featuring Wine Without Walls, the annual wine selection held in the lead-up to Vinitaly, has just released the online edition of its wine guide: 5StarWines - the Book 2019. The guide features 601 wines that made it into the publication out of the 2733 wines submitted for the 5StarWines Grand Tasting, plus 24 out of 45 for Wine Without Walls, the special section (and selection) dedicated to wines without added sulphites or with total quantity of sulphites (naturally produced and added ones) not higher than 50mg/l. 5StarWines - The Book 2019 is a wine-guide showcasing all the wines selected at 5StarWines, the three day blind tasting where wineries that invested in the improvement of their products can receive feedback from a highly-qualified, international panel of judges. Wines were tasted blind by 95 wine professionals, including Senior General Chairman, Ian D’Agata, General Chairmen Pedro Ballesteros Torres MW, Robert Joseph, and Bernard Burtschy. Italian wines shined brightly this year, showcasing Italy’s diversity from the North to the South. Winery of the Year - Gran Vinitaly 2018—the maximum recognition for a producer who attained the best score with at least two different wines—went to Cantine del Notaio from the Basilicata region in Italy. Additionally, the best Italian wine with highest overall score went to Cantina Silvio Carta from Sardinia. Pedro Ballesteros Torres MW states, “5StarWines is a major tool for Italian producers to receive feedback on how the quality of their wines is perceived by top-level experts from all over the world.” However, wines from outside of Italy ranked highly as well. Sudsteiermark Pradikatswein Riesling Trockenbeerenauslese 2013 by Lackner Tinnacher from Austria was chosen as one of the best sweet wines, and Champagne Brut Millesime 2008 by Chassenay d’Arce from France was chosen as the best sparkling wine. Wines that scored 90 points out of 100 were included in the guide. 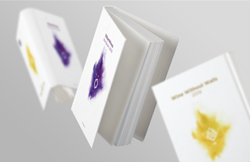 The full content of 5StarWines - the Book 2019 is available here: http://www.5starwines.it/the-book-2/?lang=en. The print version will be released in September 2018, followed by the opening of registrations for the next edition of 5StarWines Grand Tasting.